As the year winds down it's time to start thinking of creating your new vision board for 2019 and for those who have never created a vision board, it is collage representing things you would like to attract to your life. 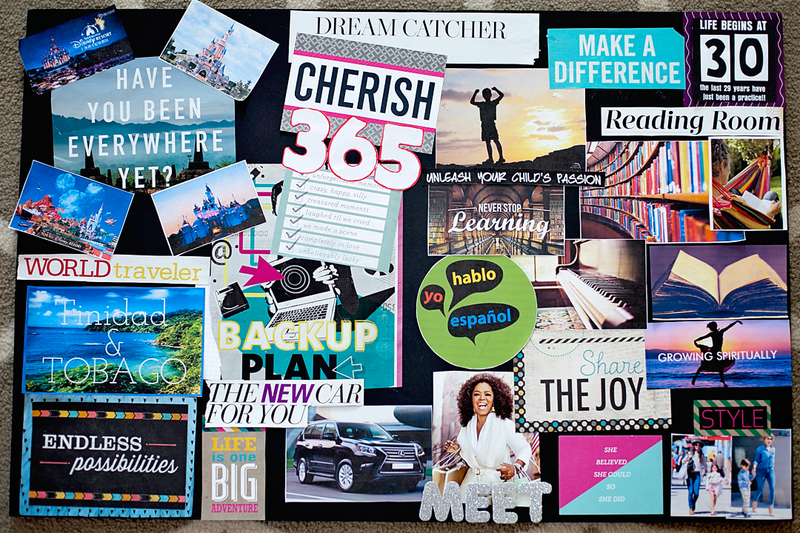 Vision boards can focus on something specific, like career, love life, or goals for the year. Or, you can make a board that encompasses general life desires. To make a vision board, cut pictures and phrases out of magazines, print images from websites, and include your own photos in the collage. Next glue the images and words onto a piece of poster board and place it somewhere you can see it on a regular basis. (Mine is in my living room.) Then sit back and wait for the magic to happen! Check out the link on why and how to host a vision board party. Good luck in 2018 and share your vision board.